Georgia is preparing for the next presidential elections to be held this fall. These will be the last direct presidential elections. What is more, the head of state will be elected not for five years as before, but for six. In the future, according to the changes to the Constitution, these are 300 members of the Electoral Commission who will vote for the head of the state. It will be the responsibility of 300 members of the Electoral Commission to vote for the head of state. The chairman of the ruling party Georgian Dream Bidzina Ivanishvili is about to give up the presidential chair. If a worthy independent candidate appears, the Georgian Dream will support him. If such a candidate is not found, Ivanishvili will let the opposition “decide among themselves”. It is important for the democracy development in the country that the representative of the ruling party should not become a president, since the Dream has a constitutional majority and controls all sakrebulo and gamgeoba (local legislative and executive authorities) at the municipal level. This is not the final decision, but it is likely that the party will not be able to change the leader’s declared position. Meanwhile, some candidates for the president post have already appeared on the track. “Saakashvili and Co” consisting of 10 parties will be represented by the former Foreign Affairs Minister Grigol Vashadze. The candidate from the former Saakashvili’s associates, now the European Georgia party which has the largest opposition parliamentary faction, will be represented by the former Parliament speaker David Bakradze. Alexander Elisashvili, a former journalist and a young resident of Tbilisi who won the hearts of the citizens with his uncompromising and straightforward position, also appeared on the horizon. 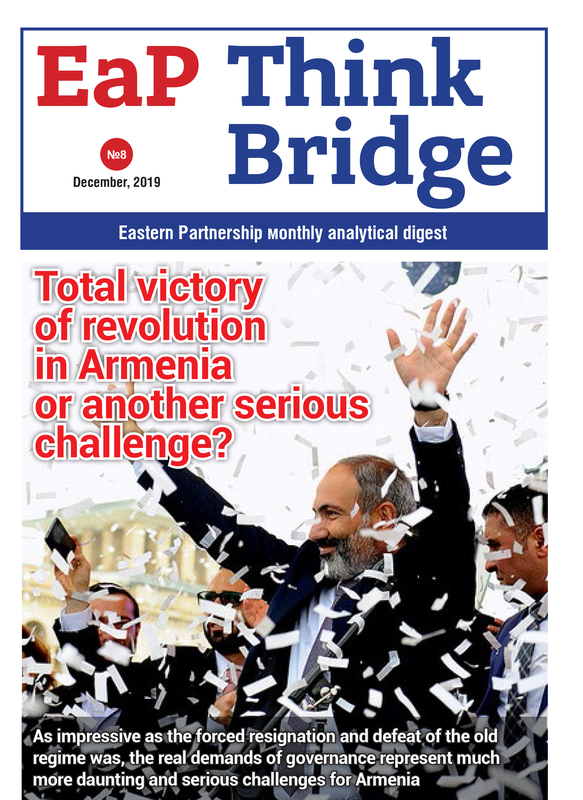 He almost bypassed Kakha Kaladze in the major elections, however, the sympathy of the Tbilisi residents could win him only the second place against the opponents’ resources. “Russian” flank also appeared at the start point, lead by Nino Burjanadze. This wing has not yet prepared any surprises like a “Trojan ultra right horse” that was expected, given a lot of “patriots” in the streets of the city. The current president of Georgia Georgi Margvelashvili has not made his decision yet. As one of the ex-chairmen of the parliament David Usupashvili promised, it will become clear by August 1 if he or Margvelashvili will become a candidate. Usupashvili openly offered a partnership to the president, but the latter still refrains from commenting on his intentions. While Margvelashvili, who became the president supported by Ivanishvili, is thinking it over, the citizens of Georgia are also trying to understand who will become an “independent” candidate supported by Ivanishvili. The ruling party leaders promise to decide on this in the coming days. The residents of Chuberi and Haishi villages blocked the road and damaged the car of the investigative service with stones and sticks. The mountain population protested against the investigation concerning the sawmills. To ensure the safety of the investigative service and the full implementation of the investigation, it was necessary to mobilize a special-purpose unit. On July 26, the investigative actions simultaneously started in the regions of Imereti, Ajaria, Kakheti, Guria, Racha-Lechkhumi and Kvemo Svaneti, Shida Kartli, Samtskhe-Javakheti and Samegrelo-Zemo Svaneti. The law enforcement agencies are verifying if the enterprises, processing and selling timber, work legally and with state registration. Similar actions were to be taken in Chuberi and Chaishi villages. Two weeks earlier, a flood in Chuberi village ruined the mountain, leading to a sharp rise in the water level in the Nenskra River. The river left the banks, flooded the lower floors of the houses, and destroyed the utensils. It ruined five bridges, flooded the territory around and in the center of Chuberi. The houses were destroyed, and the population evacuated. Experts do not exclude that such spontaneous processes are often the result of the unreasonable exploitation of the forest. The case needs to be studied. The force of nature became one of the first challenges for the new Prime Minister. Mamuka Bakhtadze presented new proposals for the public discussion. According to the Prime Minister, the Georgian timber export will be limited. “We presented an important initiative at the government meeting, stimulating the timber imports to Georgia. At the same time, the logs and boards export from Georgia will be limited. This is not the price for the additional jobs in Georgia. No, it only destroys our main wealth”, – Mamuka Bakhtadze said, presenting the new “Green Economy” eco-concept to the government members. According to the concept, the significant investments will be directed to the development of the protected areas, natural and man-made ecosystems. They will use some comprehensive approaches, raise the customs duty on cars with large engines – to stimulate the hybrid cars and electric vehicles import to Georgia. Now in Georgia, the cars with the engine exceeding 3.5 liters make up about 10%, that is several times more than in the European countries. The changes will make a difference in tax payments on small and big cars even more. According to the new approaches, in the near future there will be more cars directly meeting the basic EU requirements. This initiative will further tighten the requirements for the emissions testing. Agriculture is one of the main “Green Economy” directions. Georgia will become a country producing high-quality, environmentally friendly bioproducts. Meanwhile, the eco-activists protest even more against the consumer attitude to nature and HPP-mania as they call a number of the projects damaging the nature and serving to fill someone’s pockets. Such initiatives are active not only in Tbilisi, but in the regions too. The inhabitants of the villages along the Rioni River founded a public movement “For the Salvation of the Rion Gorge” and protest against the construction of the Namakhvani HPP cascade. Similar movements occur in other places as well. The government realizes that the growing energy consumption and the need to use the local capacities demand serious discussions both on the level of the intra-government elites and with the population tired from the populism and futility. Foreign policy: “Georgia will become a NATO member but not now”? “Our colleagues who play for the aggravation and try to include Ukraine or Georgia in the military orbit of the Alliance, should think about the possible consequences of such an irresponsible policy,” – the President Vladimir Putin said at a meeting with the Russian ambassadors just after the NATO summit, which took place in Brussels 10 years after the Russian-Georgian war. The possibility of Ukraine and Georgia joining NATO “poses a direct threat to the security” of Russia. This was stated by Putin in an interview for the American Fox News TV Station after his meeting with Donald Trump. “Ten years have passed after the NATO-Georgia Commission first meeting that set the big goals for the Georgia’s membership in NATO. Georgia will obviously become a member of our organization, and our leaders contribute for this to happen as soon as possible”, – NATO Secretary General Jens Stoltenberg said at a joint briefing with the Georgian President Georgi Margvelashvili in Brussels, where the Alliance Summit was held. The unscheduled NATO Summit, for the first time attended by Donald Trump, once again confirmed the prospect of Georgia joining NATO. According to Donald Trump, “Georgia will become a NATO member but not now. The representatives of Georgia attended the Summit. They left a very good impression. We heard about their situation, and the situation with Georgia is complicated”, – Trump said. The declaration adopted at the Summit noted Georgia’s progress, its contribution to NATO operations, as well as the process of democratic institutions strengthening and building up its defense capabilities. Georgia is tirelessly moving to Europe along this seemingly endless path.